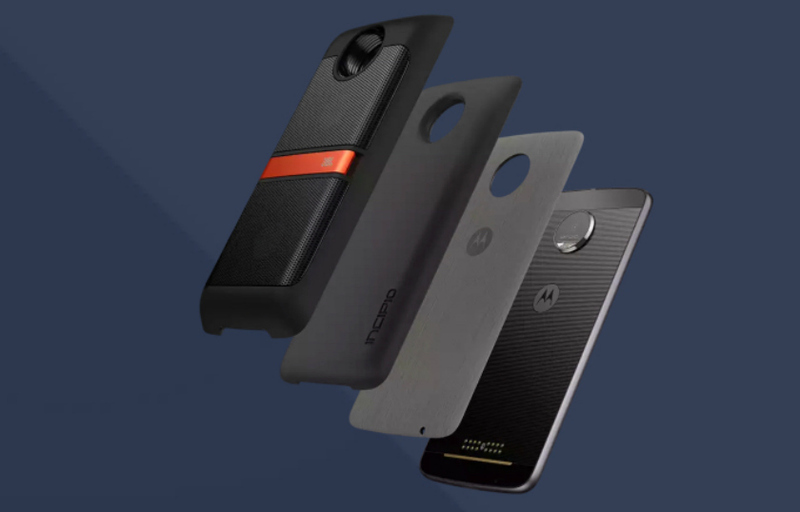 Lenovo recently launched Motorola Moto Z which got a lot of attention last week due to its “modular” design and its unique Moto Mod accessories. There are a lot of people who would love to snap on an extra battery pack, speaker, projector or camera module onto their phone, but we doubt there are very many people who will be willing to pay the exorbitant prices that the module will demand. Thanks to the My Verizon app, we now know the prices of a few of the Moto Mods which will work with the Motorola Moto Z. To be fair, we were not expecting the Moto Mods to be cheap, but the listed prices for the add-on accessories will keep most people from buying them. Take the Insta-Share Projector as an example. There are plenty of portable pico projectors in the $250 to $300 range, but most of those devices offer a 5,000 mAh battery, 1080p projection and a 100 lumens bulb. The Insta-Share Projector Moto Mod has a 1,100 mAh battery, 854×480 WVGA projection output with only 50 lumens. The same comparison can be made with the Moto Mod battery packs which add an additional 2,200 mAh battery capacity to the phone. Having a convenient battery Moto Mod attached to the back of your phone is great, but why spend $80 for 2,200 mAh when you can spend $20 to $30 and get 10,000? If you do pick up the Moto Z, are you willing to pay the premium prices that Motorola and its partners want to charge for their Moto Mods?